Redbuds are lovely small trees for gardens and backyards. Pruning a redbud tree is essential to keeping the tree healthy and attractive. 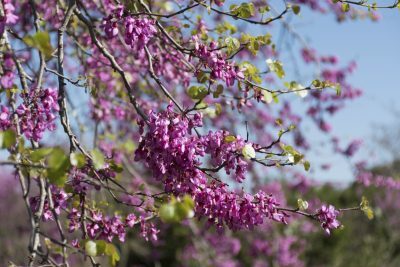 If you want to know how to prune redbud trees, read on. Gardeners trim back some species of trees to keep them looking their best. Other trees need pruning to maintain their vigor. Redbud tree pruning includes both objectives. 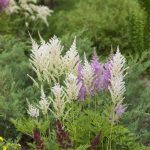 You’ll want to start cutting back redwoods when they are still saplings. By starting young, you can control their future branch development. Vigorous to a fault, redbuds can start growing flowers from their trunks. They can also develop such abundant foliage that they lose their graceful shape and become almost as wide as they are tall. Appropriate redbud tree pruning eliminates the excess. Redbud tree pruning also helps to eliminate those branches with V-shaped branch crotches. Branches that join the trunk in narrowly angled junctions are weak. Theses crotches cannot support heavy branches and can break off in a strong wind. Branch breakage is one of the biggest causes of redbud tree death. Last but not least, cutting back redwoods can prevent disease from spreading. If a redbud gets verticillium wilt, for example, you’ll want to prune back dead and dying branches. It’s good practice to remove dead branches from a tree even if they are not diseased. 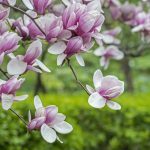 If you want to know when to prune a redbud tree, the optimal time to prune depends on the type of trimming you are undertaking. If you are cutting back redbud trees to shape them, make these cuts after the trees finish flowering but before they leaf out completely. Don’t wait past mid-April. If you need to remove dead or diseased branches from the tree, don’t act in spring. 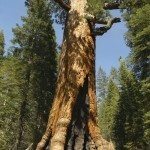 When to prune a redwood tree in this way? Any branches are best removed during winter dormancy, before blooms appear. You’ll want to start by sterilizing your pruners. Wipe the cutting edges with denatured alcohol. This is especially important if you are pruning out diseased limbs. Remove all branches with narrow crotches to make room for those with stronger connections to the trunk. Branches connecting to the tree with U-shaped junctions will be able to support leaves and flowers. Prune out all dead and dying branches. Cut back broken branches as well. Make these cuts at a leaf node above the break.